China Southern Airlines now offer cheap flights to Taiwan. UPDATE: price dropped to just €416 now! e.g. 20.5. – 27.5. (screenshot). 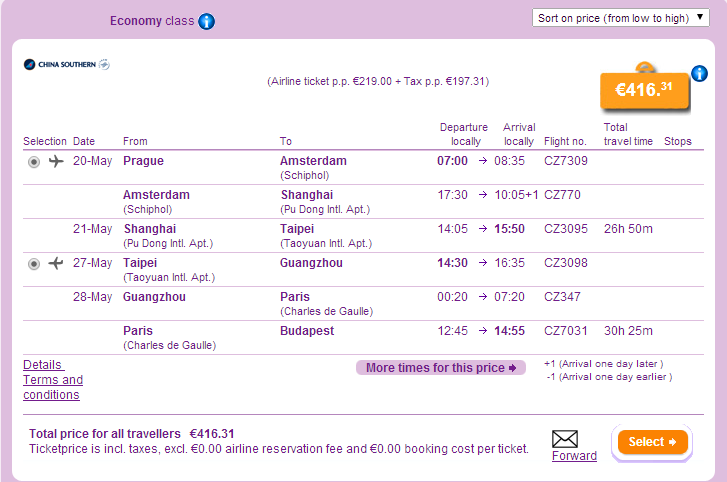 Multicity tickets Prague – Taipei – Budapest are available for only €435. For few Euros more you can fly also from Warsaw. Travel dates are until October 2014. Book via Budgetair for the best price (click on “More search options”). 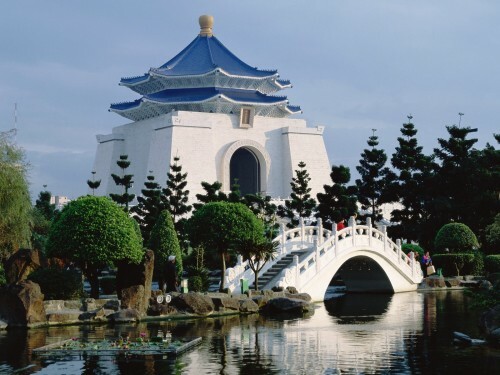 Taipei offers wide range of accommodation for moderate prices. You can get the cheapest hotels from 20€ for a double room and night. « HIT! Cheap flights to Beijing, China for only €389!